يحظى فندق Portside Motel بمكان متميز في محور ميناء كامبل - طريق المحيط العظيم شواطئ, برامج عائلية, سياحة في منطقة بوت كامبل الفاتنة. يمكن من هنا للضيوف الاستمتاع بسهولة الوصول إلى كل ما تقدمه هذه المدينة النابضة بالحياة. بالنسبة لمن يريد الخروج، هذه بعض المعالم السياحية المتوفرة للزوار London Bridge, Loch Ard Gorge, Grotto. إن Portside Motel حريص على توفير الراحة للنزلاء، فلا يوفر الموظفون جهداً في تقديم أفضل الخدمات وضمان حسن الاستقبال. يقدم الفندق فرصة للاستمتاع بشريحة واسعة من الخدمات بما فيها: واي فاي مجاني في جميع الغرف, مرافق مخصصة لذوي الاحتياجات الخاصة, تسجيل وصول/خروج سريع, تخزين الأمتعة, صف السيارات . تتضمن كل غرف النزلاء وسائل الراحة والتسلية المصممة خصيصاً لضمان الراحة القصوى للضيوف. يقدم الفندق مجموعة واسعة من وسائل الراحة المتنوعة، كمثل: حديقة. إن كنت تتطلع إلى إقامة مريحة وهادئة في ميناء كامبل - طريق المحيط العظيم، فستجد في Portside Motel بيتك الثاني. No fuss check in. We arrived passed reception hours but check in process was written clearly on the glass door panel..room is clean and spacious although there were a few bugs but it didn’t bother us. Heater in the room works well. 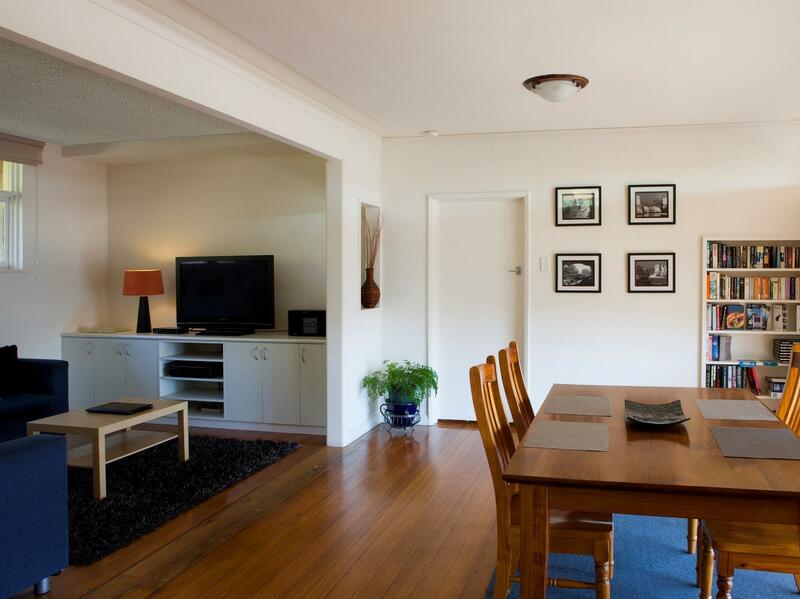 Walking distance to restaurants, cafe and supermarket. Close to attractions..overall a short but good stay. Nice place to stay after long day drive from Melbourne City. Miss the restaurant nearby with a nice pizza served, just a short walking distance. It is like a home stay but very clean. Room is big, facility is good. The only thing is the receptionist is not there all day long even if they put the note will be back on 3pm but they are still not there, you have to call them for check in. Near to food outlets. The elderly gentleman at the reception was very friendly. Good to receive such warm reception after one cold day at the 12 Apostles! The room was surprising big, as compared to the terrible room at Lorne Hotel the night before. We wished that we can stay there for one more night! This was a great GOR pitstop and the homely motel with its very friendly staff made our stay a fantastic one. Staff was friendly and helpful, providing us with town maps and directing us to several good food places. The map also listed all the must-see spots along the GOR and other activities available in the area too. Room was well-kept and spacious with all the amenities we needed for a good night rest. I really appreciated the spacious parking lot located just right outside our motel room too. My only complaint would be the layout of the washroom, as the shower area is not enclosed the toilet tends to get quite wet and messy after use. Wi-fi is available as well, but tended to get quite slow at certain points in time. Overall, great location for a motel and enjoyed our stay very much. 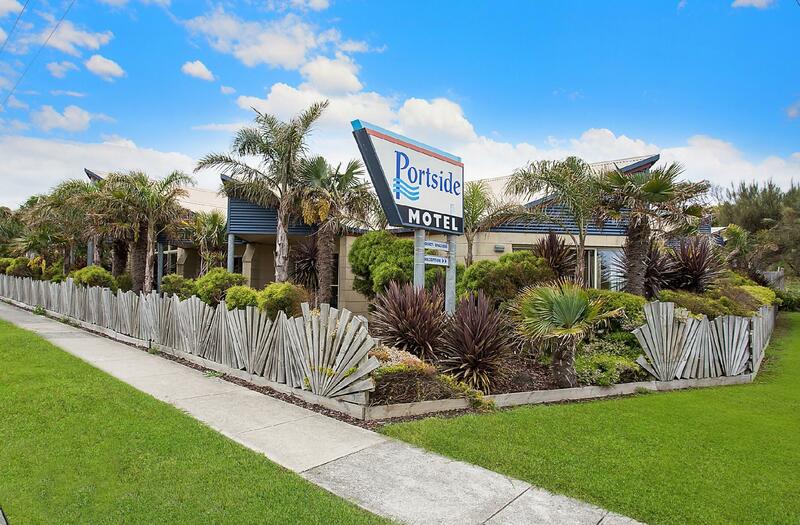 It was a great stay at Portside Motel. The room and the bed was comfortable, clean and have everything you need. The reception was always with smile and guide us to the attractions around. Thank you for the lovely stay and greetings in our Malay language :D We will definitely stay there again. A overnight resting point for Great Ocean Road Drive. Only 10-15 minutes drive to 12 Apostles. So you can attempt both sunrise and sunset shots of the rocks if you stay at Port Campbell. Cheaper alternative compared to the farm stays in the same area. Memorable stay. Owner were very, very helpful when I needed to print-out my boarding pass for my flight. Room was clean and comfortable. Will definitely revisit if I decide to do the Great Ocean Drive again. 5 star! We booked the 2 Bedroom Family Apartment, we were very satisfied! They have a large & complete kitchen & basic stuff like oil, salt & stuff. Dining room was large and the two bed room was very comfortable. I would definitely stay here again & will also recommend to my friends. This is one of the best motel I stayed! Do enjoy the private verandah outside of the room! The room was clean, and a great overnight before heading over to the 12 Apostles and other attractions. Friendly service and was able to do a late check in. Very accommodating. We were offered a house instead of the booked motel room so my review is based on this. Very old house with most of the window shutters not adequate to block outside views. The house contents around 40-50 years old, no tv reception and a wi-fi code but not wi-fi could be located and when I asked the staff, their response was we were hoping to have these (tv & internet) fixed but nothing happened. When travelling with two children this should have been mentioned; no tv or wi-fi so we could have chosen to stay at the motel and maybe would have had a more enjoyable trip as what we paid for was not what we received. Very disappointed. Very good and cozy. Walking distance to nice view. Like this hotel very much. Friendly reception; extremely spacious; board games for a great family game night. Good sized unit, and the kitchenette had a decent sink you could wash up in, with suitable amounts / types of crockery provided. Josie was a superb source of local information on the 12 Apostles, where to go for the best views, walks long and short, sunrise / sunset times, and the weather forecast (which was wet!). I stayed at the 2 bedroom apartment. Clean, and comfortable.beds, However room was rundown and I think it needs a major.spruce up and renovation . Based on the price that I was paying it was not value for money. The motel provides the necessities - clean shower, clean bed and a spacious enough room! Location is about fifteen-ish minutes away from all the great views along The Great Ocean Road. I travelled alone, and the stay at the hotel was safe and convenient. The town center is about five minutes by drive or fifteen minutes by walk away; easy to get to food places or grocery store. We stayed here for a night and had a good stay in the family room. It was a little bit noisy at times as it was adjacent to reception but our children drowned out the noise so that levelled out! There was also a little bit of lack of privacy as the staff use just outside the back of the family room to wash and dry laundry. There is a blind there but you can still see them from the main living area which was off putting. Very clean, spacious and great location. Comfortable beds too. We loved Port Campbell !